Famed actor and science-fiction icon Leonard Nimoy passed away today at the age of 83. Known primarily for his role as Spock in the popular television series Star Trek, Nimoy also did many other media ventures, including sitting in the director’s chair for the 1987 classic Three Men and a Baby. While I’m not a Star Trek fan/Trekkie, I do know that he’s an important figure in science-fiction popular culture. Surprisingly, his best “cameo” in television’s #1 comedy The Big Bang Theory was in name/DNA only. Sheldon’s reaction encapsulates how many people viewed Mr. Nimoy. Leonard Nimoy: Live Long and Happily in Our Memories. In a single word: Epic! 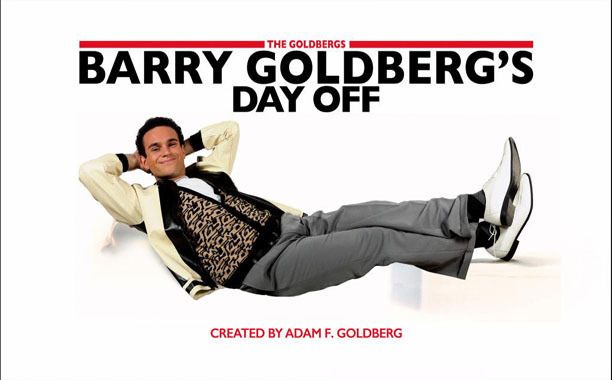 Adam F. Goldberg, sitcom’s connoisseur of the 1980s and leader of The Goldbergs, revived a treasured classic and booked the cameo of the year (plus Ben Stein…Ben Stein in the promo) in last night’s episode, “Barry Goldberg’s Day Off.” Expected a week earlier in the Two and a Half Men series finale, Charlie Sheen continued to fuel his feud with that show’s leader Chuck Lorre with tiger’s blood. Charlie declined a highly-anticipated return to his old show. Instead, Goldberg had the perfect timing and script for Sheen to make his prime time television return as the drug-addled addict character he played in Ferris Bueller’s Day Off (you almost can’t write this) and it was great. As a matter of fact, Goldberg revealed that Sheen pitched his final line and, for those who saw it, it was hilarious. This episode was a perfect homage to the ’80s masterpiece with countless shot-for-shot remakes, the iconic wardrobe, unforgettable quotes and original twists (and shouting) custom-fit for The Goldbergs. Every single character nailed their part. They were all so choice. The story was ultimately about Barry discovering his inner-Ferris Bueller, despite the reality of being a Cameron Frye. Truthfully, it’s the dilemma most of us face, especially in high school. This tribute episode was special because of the movie, its place in our hearts and minds and it was a nostalgic time travel (without a Ferrari, flying car or phone booth) back to a time when John Hughes was king. Some would argue he still is. Hughes’ storytelling and all too-real portrayals of teen life was impeccable. His films and characters continue to stand the test of time. Sitting on the edge of my seat with a smile a mile wide during the entire show, Goldberg wonderfully reminded us that the past is never too far away and that it really feels good to win (had to) with a rockin’ song in front of a raucous crowd. Life, in so many ways, is about moments. And each of us should have our own Ferris-inspired day off. Adam F. Goldberg revealed at the end of the episode that he wanted to be the next John Hughes as a kid (note his childhood obsession with filming his uncensored family). In the modern television world, he’s as close as anybody. It’s always amazing to learn who or what motivates us at our most impressionable ages. It’s clear that we will never forget the brilliant mind and vision of John Hughes. The second part of the message was an homage to a quote from the movie. It was commented on and re-tweeted. It even got “favorited” by a few people…including Adam F. Goldberg! Why isn’t she here yet? What do I say next? Do I kiss her goodnight on the first date? These timeless conundrums are being thrown out the window and into airplanes and rickshaws with backpacks and (just guessing) a Ford hybrid vehicle of some sort nearby for the craziest blind-date imaginable. The Amazing Race returns tonight for a blind date-themed competition. Half the teams consist of people who are currently dating and half of them volunteered to compete on the Amazing Race not only with someone they’ve never met before, but with someone who they will also be looking to impress under the most stressful situations whilst navigating around the world. Seems completely crazy, doesn’t it? On second thought, who needs Phil and a passport for that? The Amazing Race starts tonight at 9:30 p.m. on CBS for a 90-minute special.